You’ve probably heard a lot of “facts” about Russia that you assume to be true. They are irritating and sometimes even offensive. Don’t make the same mistake: These myths about Russia are just that – myths. Yes, Russia is one of the coldest countries in the world in the winter, with frosts of up to -30 degrees Celsius (-22 Fahrenheit) common in the Moscow area and getting even colder further North. However, a lot of regions in Russia also have incredibly warm summers, and very mild fall and spring seasons. Russia is not any more dangerous than any other big country! Of course, every city has its bad neighborhoods, and if you’re looking for trouble, you will always find it. However, if you abide by normal safety rules and don’t do anything illegal, you will not be in any more danger than you would be in New York or Paris. There ​is also a lot of police in Russia, which can be a different problem, but also means that it’s very safe on Russian streets. Russians love alcohol in general, and vodka especially, but most of them are not alcoholics. Russians drink a lot but because of this, they have a very high alcohol tolerance! Yes, alcohol is present at almost every occasion in Russia, but this is a matter of custom and tradition – not alcoholism. Russians actually love American trends, media, music, and culture. They tend to get access to these things later than the rest of the Western world – the first Starbucks in Russia did not appear until 2007 – but they appreciate them even more. Starbucks, for example, is outrageously popular in Russia. When raising a glass with a group of Russian people, do not say "Na zdorov'ye!". This is not a toast; it's something Russian people say when somebody thanks them for a nice meal. Although Russian people make toasts with practically every sip of a drink, they usually say a unique toast every time, e.g. "To our friendship!". If you want to make a toast in Russia, stick with "За Вас!" (Za vas! ), which means "To you!" and is very acceptable. Unfortunately, you do need an invitation and a visa to travel to Russia, but these are a lot easier to get than you may think! 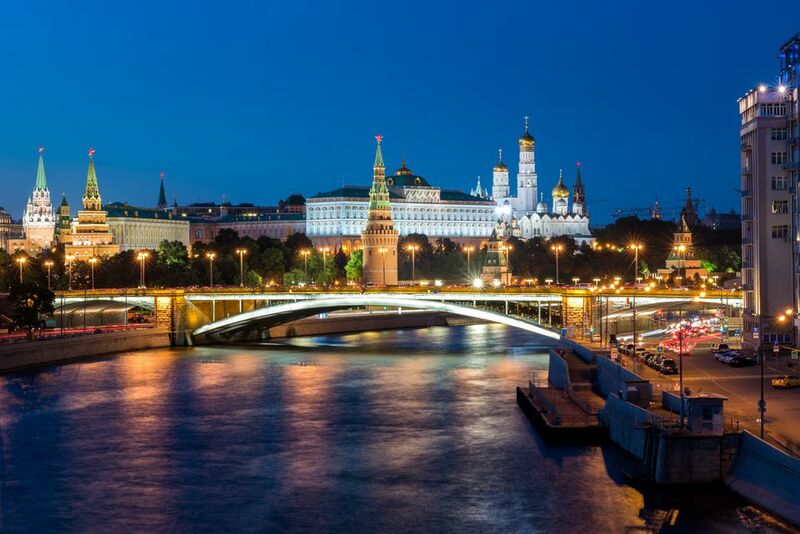 Hotels in Russia and travel agencies will send you an invitation for a small fee, and the visa process itself consists of a couple of simple visits to your nearest Russian embassy. Russian people are actually very open-minded. They may not be aware of the polite way to talk about people from other cultures, but that does not mean that they have any malicious intent. In fact, they are usually curious about and happy to talk with visitors from other countries. If you take a look at Russian people on the streets, in the metro, or in the stores, you may well think that they never smile. The truth is, however, that Russians are warm, friendly, and extremely funny – just not in public. It is a norm in Russia to have one’s “serious face” on while in public places, and being too loud or showing too much emotion is considered strange and perhaps even impolite. This one doesn’t really need elaboration because obviously, all Russians are not spies. There are probably as many Russian secret service workers as there are American, French, or Canadian “spies”. This myth comes from the Cold War and from Hollywood movies, and bringing it up to Russian people is not funny – it only irritates them, because it is so pervasive. This is another Cold War-era myth that is best not mentioned to Russian people. There are some Russian people that still think Communism was a good idea, but they are few and far between. For most Russian people, Communism meant ​the scarcity of food and other resources and being afraid of both one’s government and one’s neighbors. Not only are most Russians not Communists, but Russians are especially unlikely to endorse a Communist regime.